We’ll know the winning rate after the auction on April 16, 2019. That day, providers will bid for our business and the provider that offers the lowest rate wins. We will start sending out personal offers on April 30, 2019 where you’ll find details about the winning rate, potential savings, terms of service and plan details. With all the providers and offers available in the market, we realize that searching for a fair electricity deal can be a major headache. But if you haven’t switched in the last two years, you are likely paying too much. 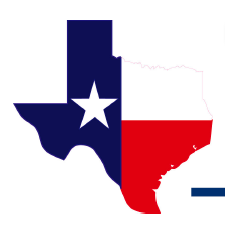 The Texas Power Switch program is an easy way to get a simple and affordable rate. All you have to do is register and wait for the providers to bid for our business. The bigger the group, the harder they’ll fight to win our business. It only takes five minutes to register and there’s no obligation to switch. 3. Can I join if my city is not participating in the Texas Power Switch? Absolutely! As long as you live in a deregulated area where you are free to choose your electricity provider, you can join the Texas Power Switch. The more people who register, the better deal we’ll get. You should always check your monthly bill or electricity contract documents to find information on possible early termination fees. In an effort to help customers who are in contracts avoid early termination fees, we’ve extended the switch window. This means that if you decide to accept the offer and make the switch, we may be able to delay the switch according to your contract end date. If your contract end date is outside that window, it is possible that changing to a new lower rate plan could make up for the termination fee that you would have to pay by leaving your contract early.